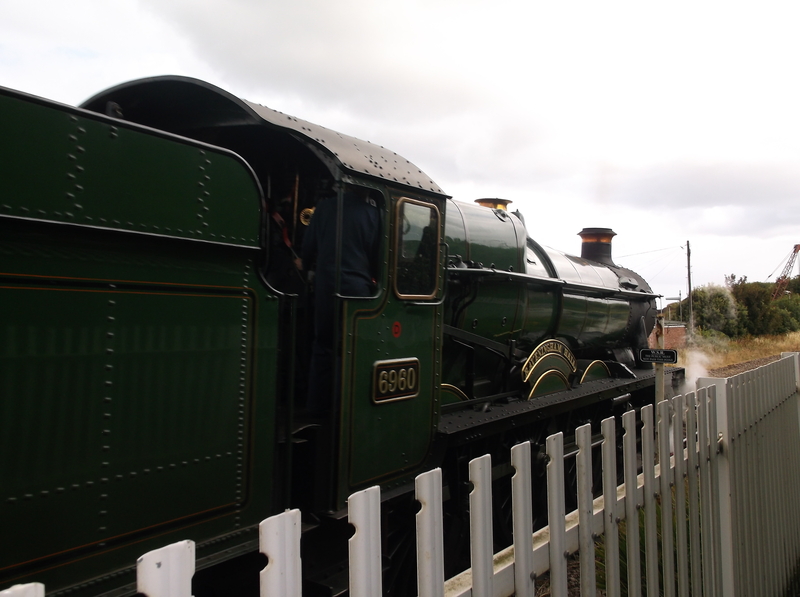 On the second day of our short break in the beach chalet we decided to take the steam train from Dunster to Watchet. 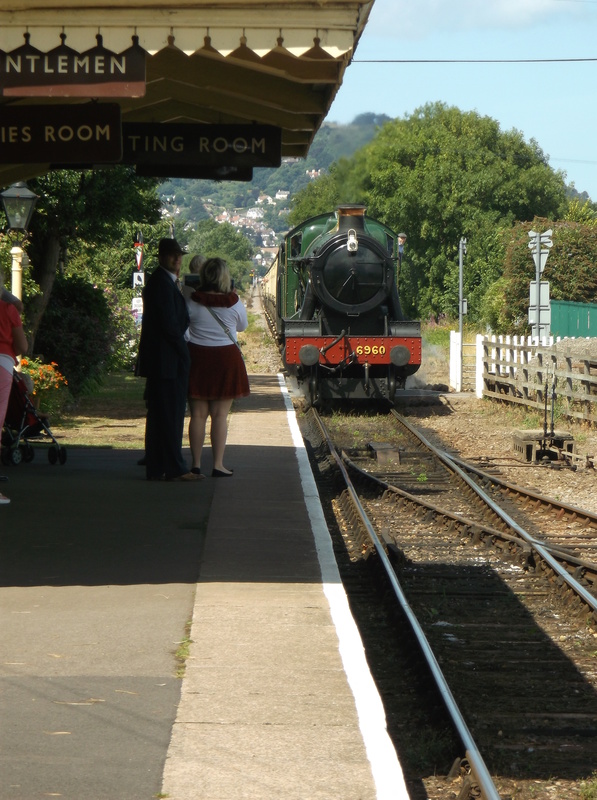 The West Somerset Railway operates a quaint and very popular steam train service from Bishops Lydeard to the seaside resort of Minehead. 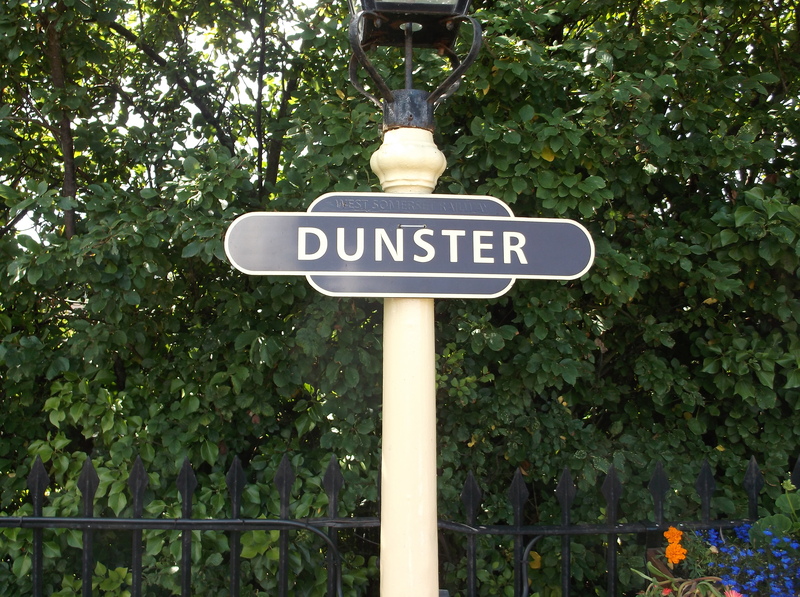 The station at Dunster opened in 1874, the stone station house is a grade II listed building and I believe the signs and fixtures are original too. 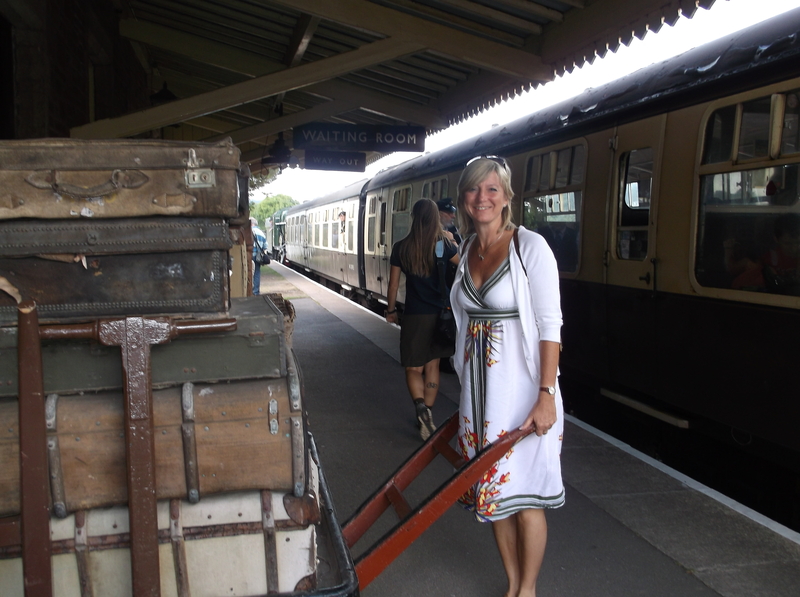 It was like stepping back in time standing on the platform especially when the train came steaming towards us. 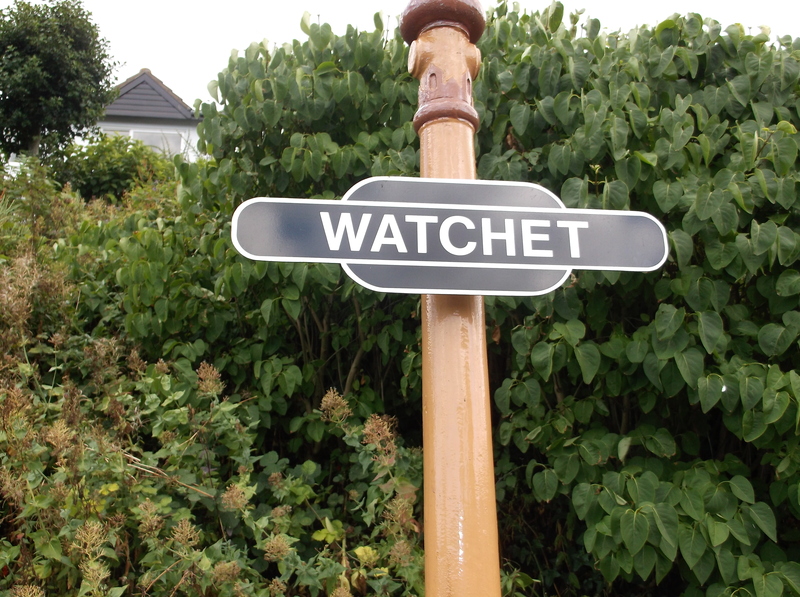 The journey took less than 25 minutes initially along the coast, then through the countryside and very soon we arrived at Watchet station, another lovely station trapped in a time warp. 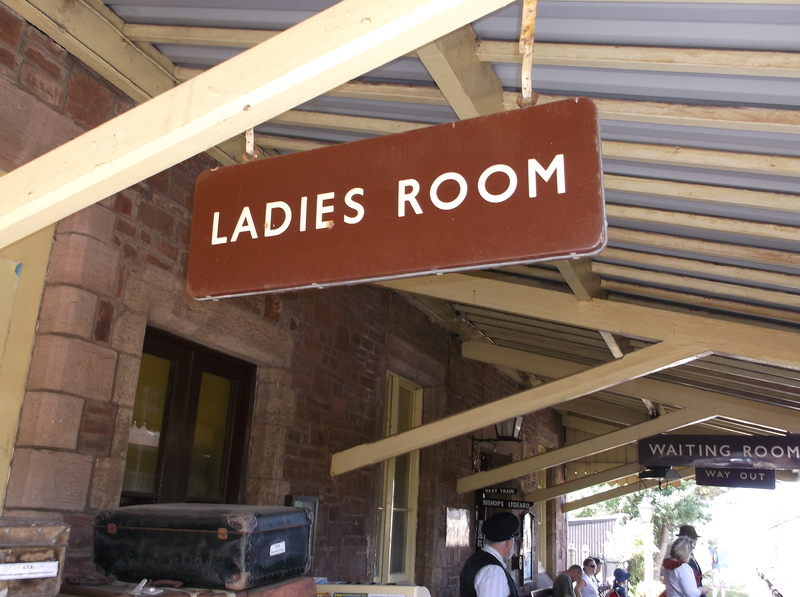 This station was first opened in 1862 and the cute waiting room comes complete with a coal fire, a cafe and second hand bookshop which provided much needed shelter from the rain when waiting for the train back. Watchet harbour is a very short walk from the station over the railway bridge, it was first recorded in the Dark Ages when a physician later called St. Decumen sailed from South Wales on a raft with a cow! 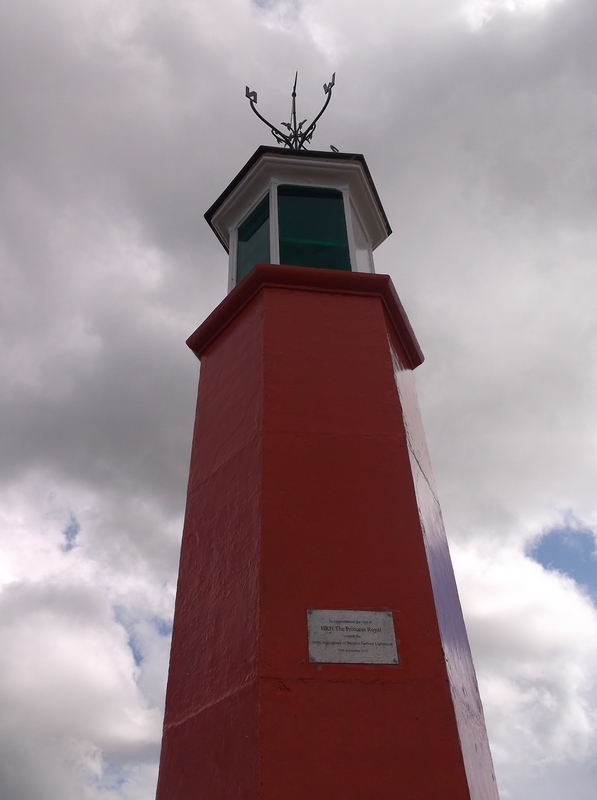 Above the harbour is Daws Fort that was built in the Iron Age for protection and was rebuilt by King Alfred to fight off the Vikings invading from the Bristol Channel. The small resort gets it’s name from wacet, the blue dye found in the cliffs and it was an early trading centre, in the 10th Century coins were minted there for Ethelred II and five more Saxon kings. Eating lunch and a wander around the shops and harbour took the best part of 3 hours and soon we were chugging away back to our temporary home. 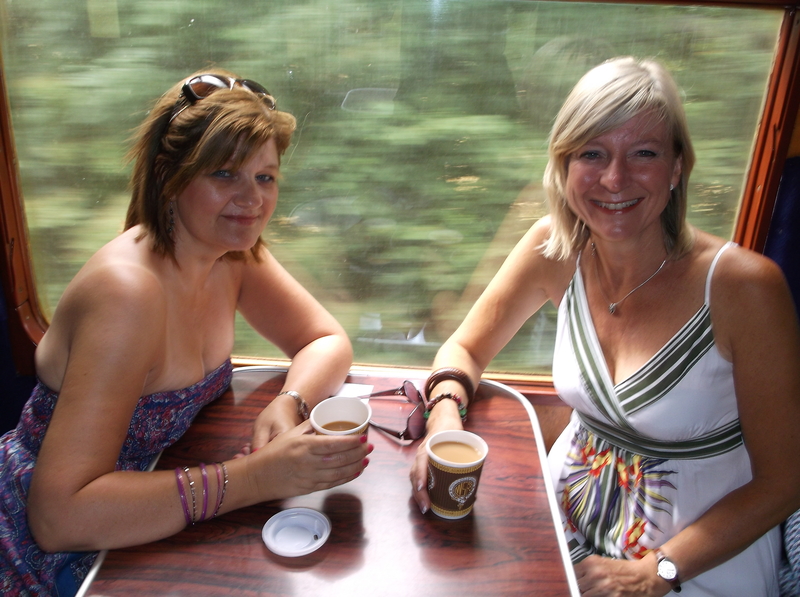 This time we managed to get a seat in one of the little compartments and this afforded a much better view for us all the way back. When I was away on my weekend break I found a book in the beach chalet that I’ve wanted to read for a while. It took only 2 days to read ” A street cat named Bob “. It tells the true story of a homeless, recovering drug addict James and his pet cat, Bob, who he found injured and nursed him back to health. The pair became inseparable and Bob goes busking with James and sits with him while he sells the ” Big Issue ” on the streets of London. Due to the popularity of the book this duo are internationally famous. The book is so uplifting and heartwarming about a young man on the brink and pulling himself back with the help of this lovely ginger tom. 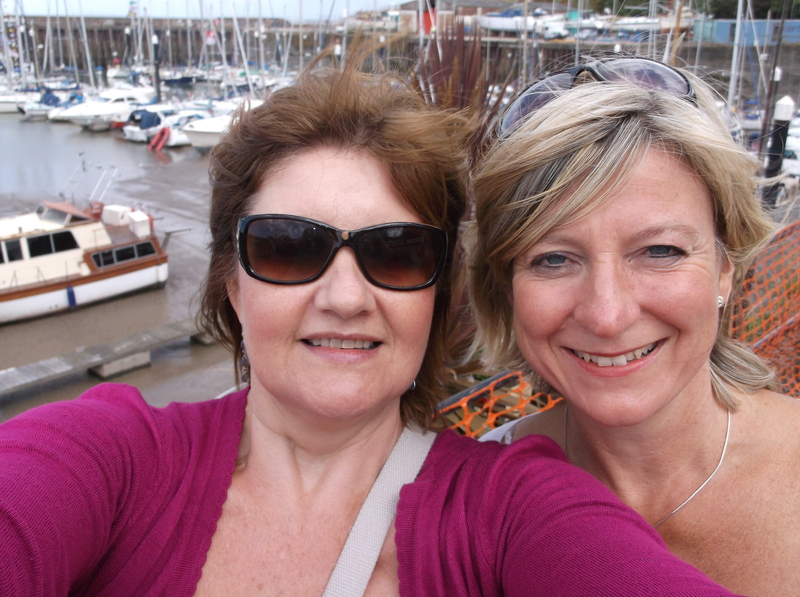 Last week my bestest friend Jane and I went away for a long weekend break to Dunster Beach in Somerset. 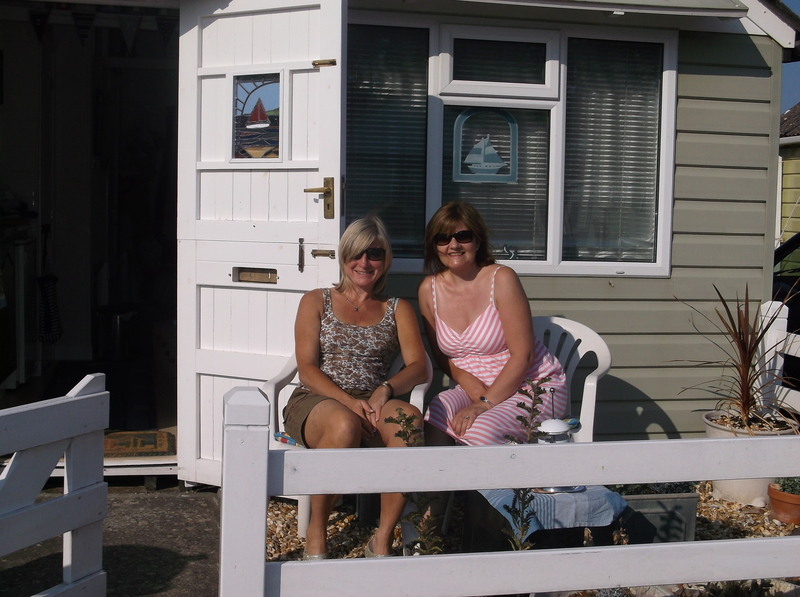 We were very lucky to be staying in a beach chalet right on the beach owned by a friend of Jane’s. 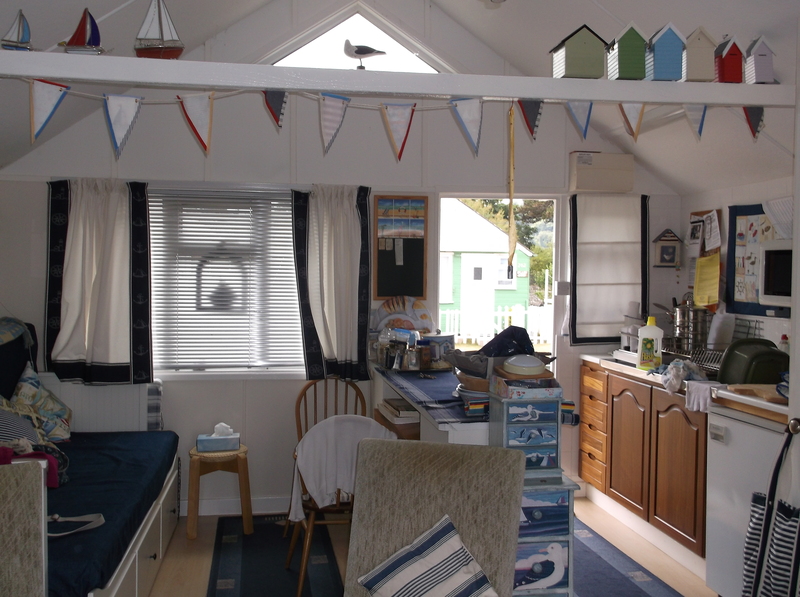 We couldn’t have stayed in a nicer place, it was absolutely delightful. 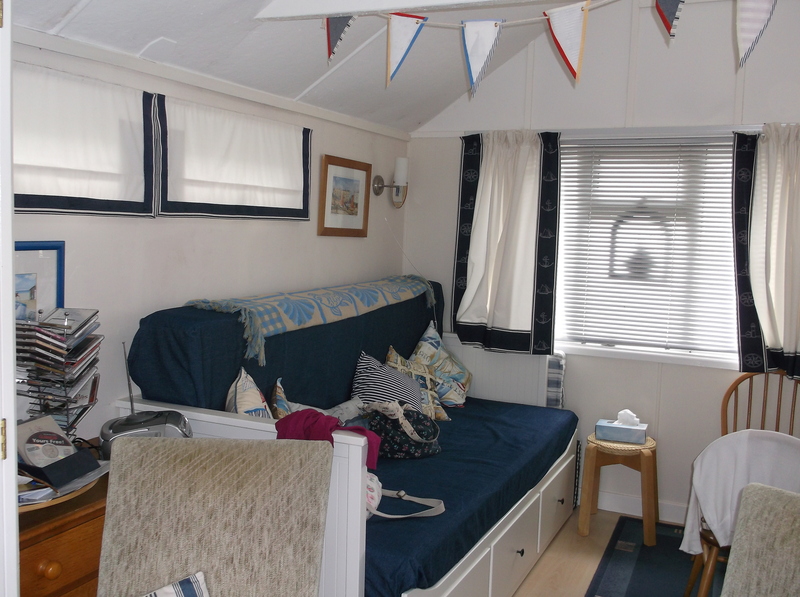 It was tastefully decorated and very cosy. 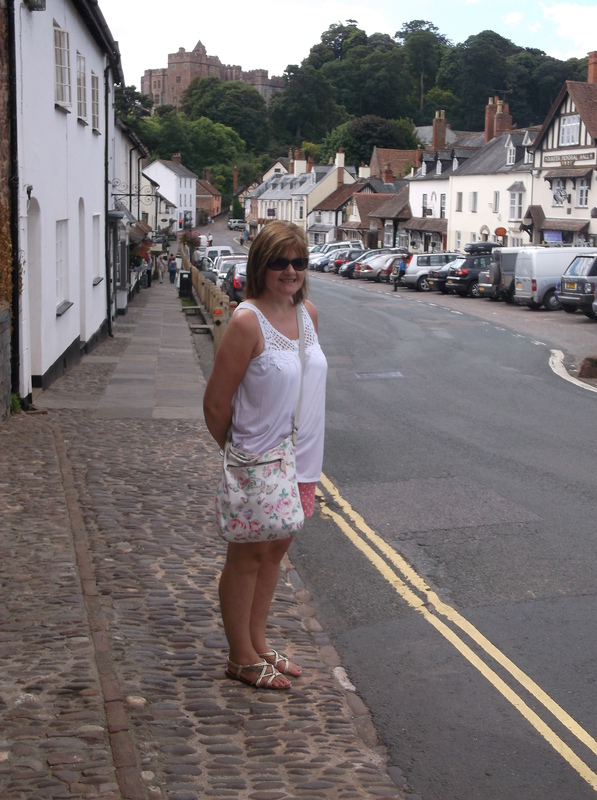 Our first excursion out of the chalet was a lovely riverside walk to Dunster Village and a visit to the castle. This medieval village dates back to bronze and iron age Britain and up to the 12th century came right up to the edge of the village but now it’s a mile away from the coastline. It was once a centre for the wool industry specialising in weaving and in 1601 a yarn market was established in the high street, it’s now a rather swish hotel. 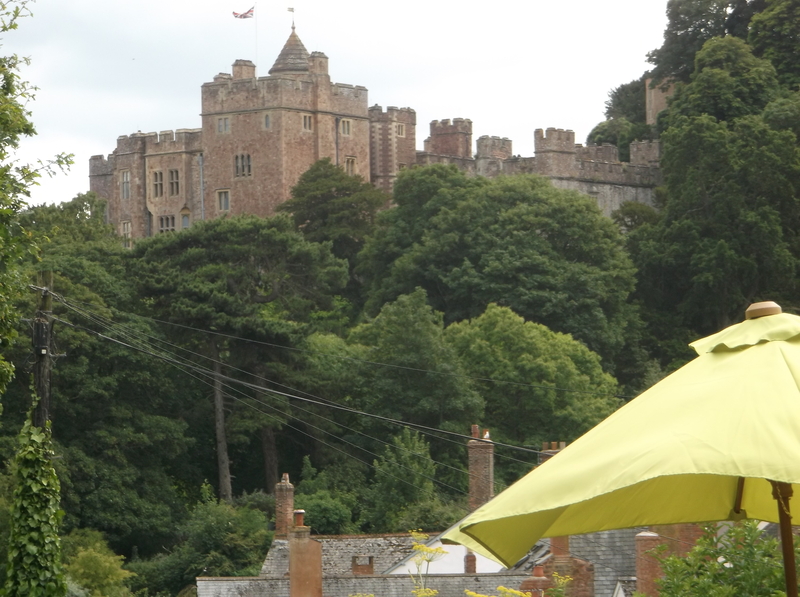 Next stop was the steep climb up to Dunster castle, now a 17th Century stately home owned by the National Trust. The site has been fortified since the late Anglo Saxon period and after the Norman conquest a timber castle was constructed by William de Mohun. Over the years the castle was rebuilt and improved upon until it was sold at the end of the 14th Century to the Luttrell family. During the English civil war the family were on Cromwell’s side until Royalists attacked the castle in 1643, they subsequently surrendered and switched sides. 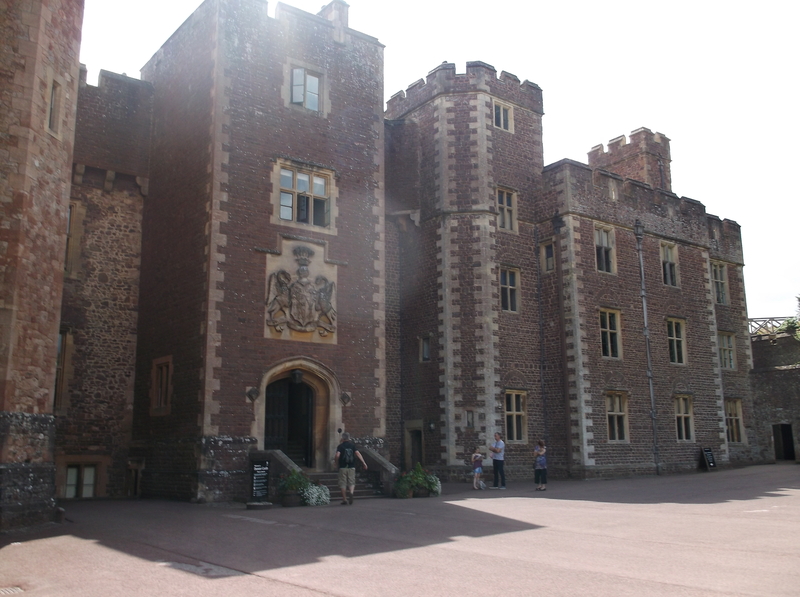 The young Prince Charles, the future King Charles II, stayed there at times and the bedroom he slept in had a secret passageway behind the wall where the young prince could hide if Cromwell’s men came searching. 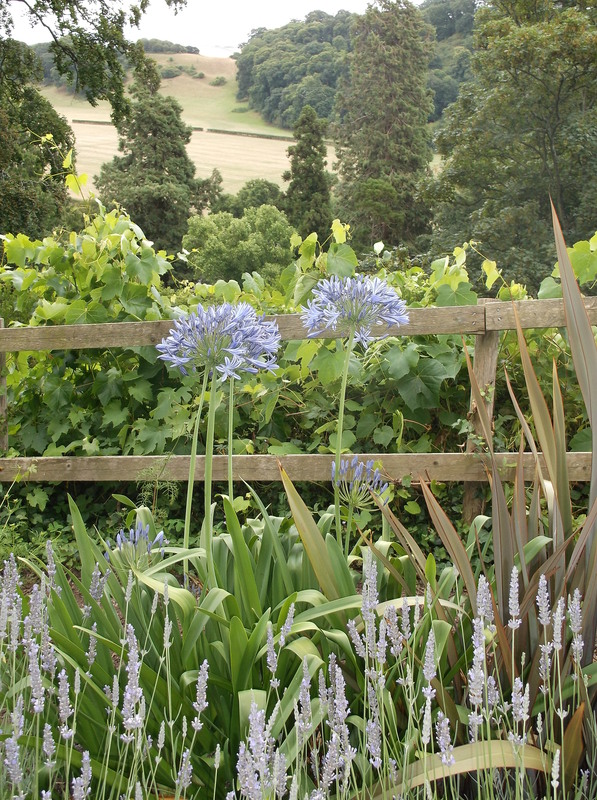 The gardens and grounds are beautiful with a fantastic display of flowers, luckily for us the gardener was selling off plants grown for the gardens and we bought a couple of agapanthus that will hopefully grow into the lovely specimens they had throughout the gardens. 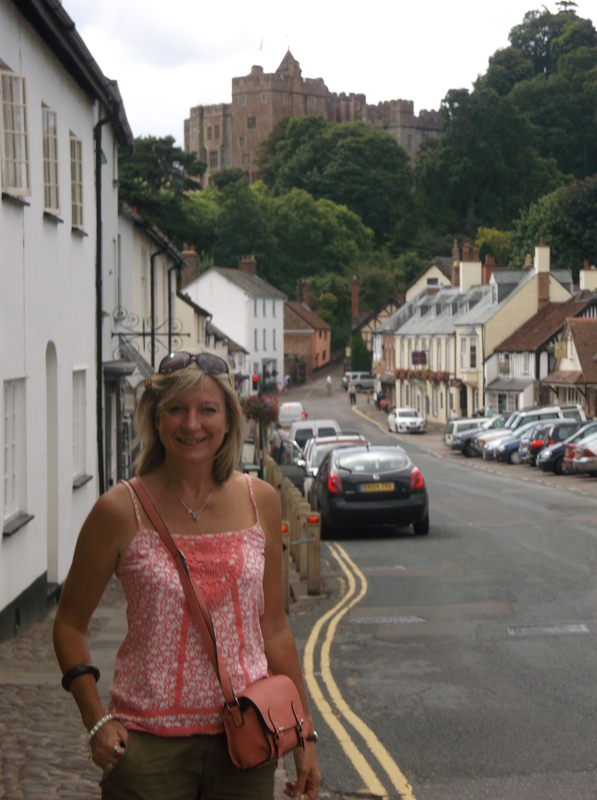 The Luttrell legacy lives on in the village with the Luttrell Arms Hotel and bar, the gardens were used during the siege of the castle by Cromwell’s men. 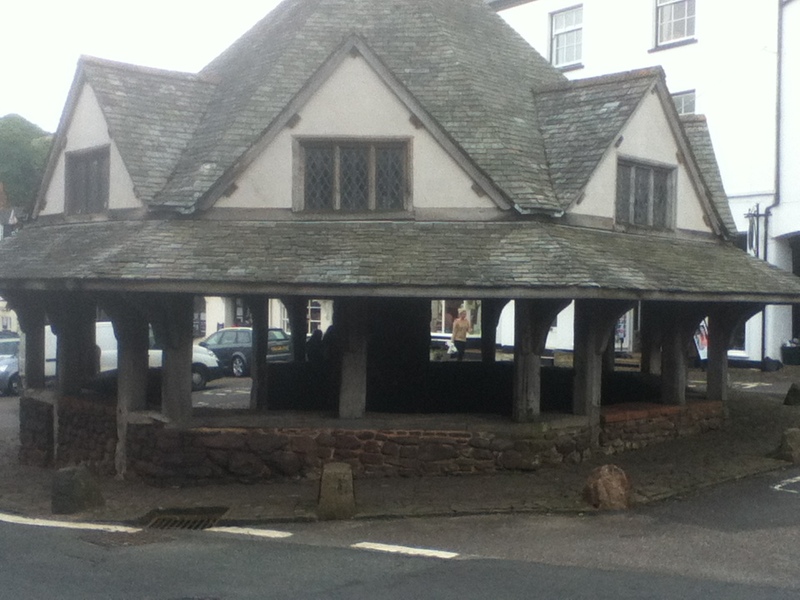 We spent most evenings at the pub as they were hosting the Dunster live music festival, our favourite band was a Bristol based skiffle band called Slapface and the Hoagies. they were fantastic entertainment and we loved them.